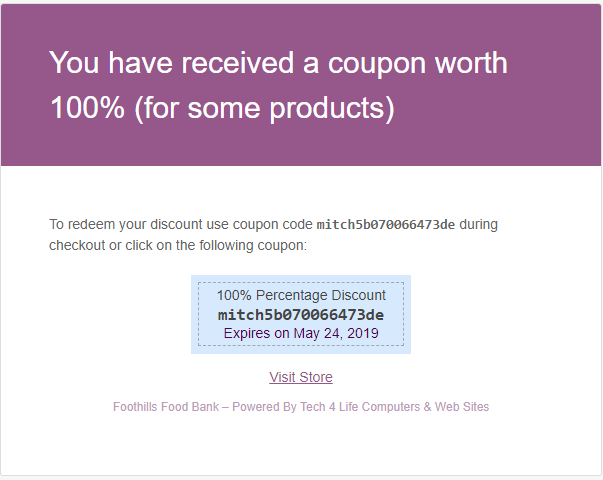 When you made your donation to the Foothills Food Bank and became a Community Partner Member, you automatically received your first GIFT in the form of a 100% OFF “Coupon”. This “Coupon” can be used to get any of the Deals or Promotions offered to you at your chosen membership level … 100% Free! To View these Deal and Promotions follow the steps outlined in the previous section How It’s Done. When you became a Community Partner Member, you were automatically sent a copy of your “Coupon” to your Email Address. 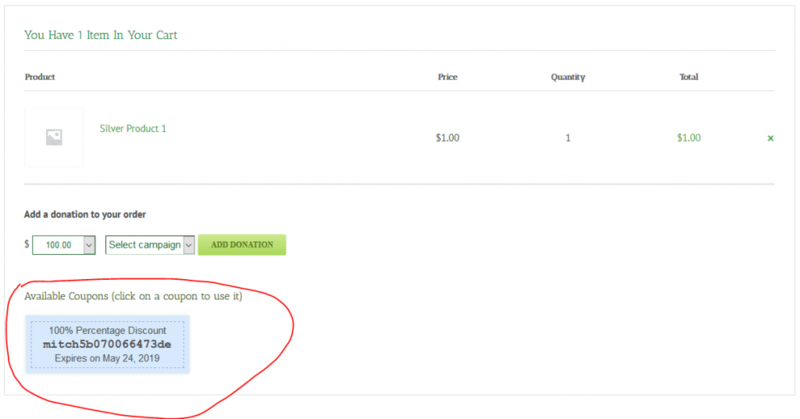 Lastly, you can also find your coupon in your “Foothills Food Bank – Dashboard”. 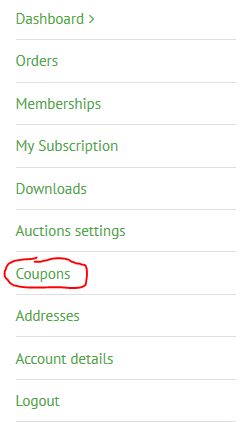 Here you will see All of your Available Coupons & Store Credits. I.e. 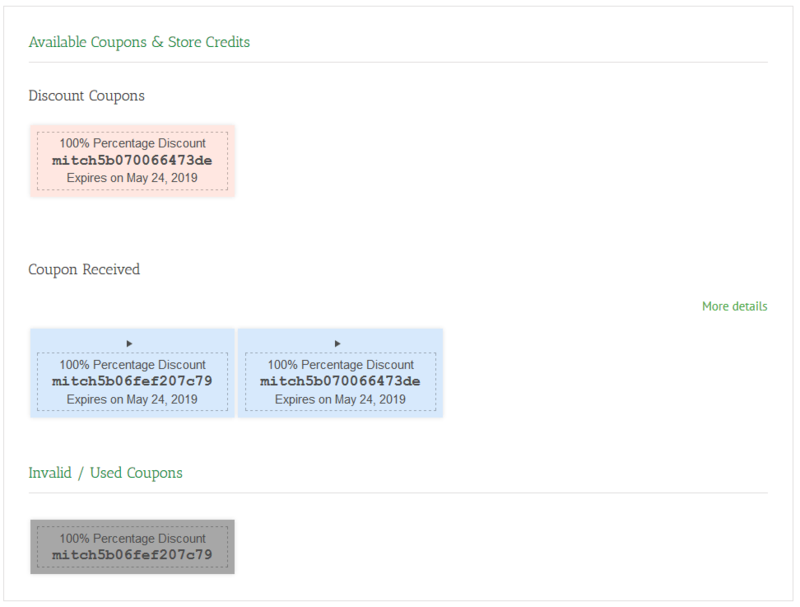 Discount Coupons Received and Invalid/Used Coupons.